Here at ChiIL Live Shows, we're eager to see Porchlight's take on this Tony winner. We'll be out for the press opening, so check back soon for my full review. This show will be at the Ruth Page Center for the Arts, as Porchlight Music Theatre continues as their Artist In-Residence company this season. 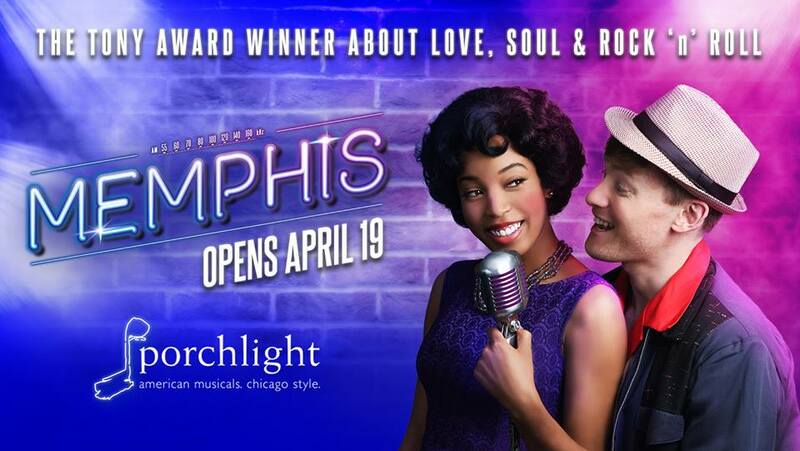 Porchlight Music Theatre’s Mainstage 2017-2018 season concludes with Memphis, April 19 – June 3, at The Ruth Page Center for the Arts, 1016 N. Dearborn Street. Memphis, book and lyrics by Joe DiPietro and music and lyrics by David Bryan, is directed by Daryl D. Brooks, assistant directed and choreographed by Christopher Carter, music directed by Jermaine Hill and assistant choreographed by Reneisha Jenkins. 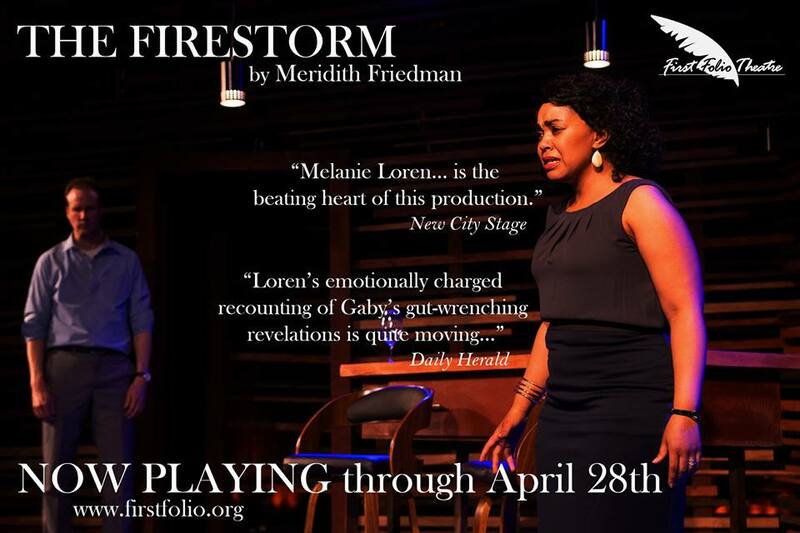 Previews are Thursday, April 19 at 7:30 p.m., Friday, April 20 and Saturday, April 21 at 8 p.m., Sunday, April 22 at 6 p.m. and Tuesday, April 24 at 7:30pm. Opening night is Wednesday, April 25 at 7:30 p.m. The regular run performance schedule is Thursdays at 7:30 p.m., Fridays at 8 p.m., Saturdays at 4 p.m. and 8 p.m. and Sundays at 6 p.m. (April 29 and May 6) and 2 p.m. (May 13, May 20, May 27 and June 3) with weekday matinees Wednesday, May 9, Wednesday, May 16 and Thursday, May 24, at 1:30 p.m. and a open-captioned performance Saturday, May 12 at 4 p.m. 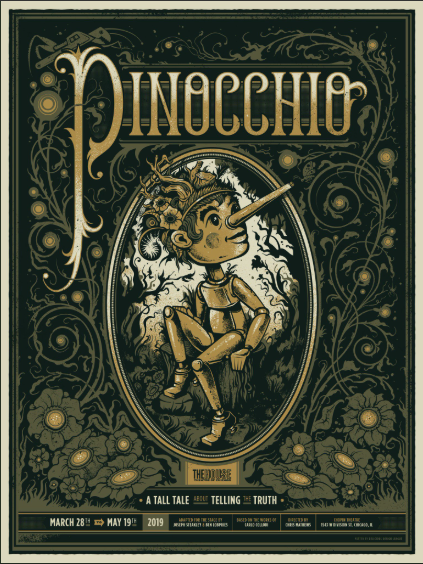 There is no 4 p.m. performance Saturday, April 28 and no 7:30 p.m. performance on Thursday, May 24. Tickets are $33 - $60 and are available at PorchlightMusicTheatre.org or by calling the Porchlight Music Theatre box office, 773.777.9884. From the underground dance clubs of 1950s Memphis, Tennessee, comes the Tony Award-winning Best Musical that bursts off the stage with explosive dancing, irresistible songs and a thrilling tale of fame and forbidden love. Inspired by actual events, Memphis is the story of a white radio DJ who wants to change the world and a black club singer who is ready for her big break. This incredible journey, written by DiPietro (author of Nice Work If You Can Get It, All Shook Up, I Love You, You’re Perfect, Now Change and others) is filled with laughter, soaring emotion and a roof-raising musical score by David Bryan of the band Bon Jovi. The cast of Porchlight Music Theatre’s Memphis includes: Stephen Allen, Jr., (ensemble/Wailin' Joe); Todd Aulwurm, (ensemble); Shantel Cribbs, (ensemble); Gilbert Domally, (Gator); Ryan Dooley, (ensemble/White DJ/Mr. Collins/White Father/Gordon Grant); Ariel M. Dorsey, (ensemble); Jared David Michael Grant, (ensemble/Black DJ/Reverend Hobson); Graham Hawley, (ensemble); James Earl Jones II, (Bobby); Kayla Kennedy, (ensemble), Nicole Lambert, (ensemble); Bernell Lassai III, (ensemble); Ivory Leonard IV, (ensemble); Mallory Maedke, (ensemble); Liam Quealy, (Huey Calhoun); Casiena Raether, (ensemble/Clara/White Mother/Dance Captain); Lorenzo Rush Jr., (Delray Jones); Isaiah Silvia-Chandley, (ensemble/Buck Wiley/Martin Holton); Aalon Smith (ensemble); Koray Tarhan, (ensemble/Perry Como/Frank Dryer); Jacob Voigt (Mr. Simmons); Nancy Wagner, (Gladys Calhoun) and Aeriel Williams, (Felicia Farrell). Additional ensemble members to be announced soon. The Memphis production team includes Daryl Brooks, director; Chris Carter, choreographer and assistant director; Jermaine Hill, music director; Reneisha Jenkins, assistant choreographer; Robert Hornbostel, sound designer; Bill Morey, costume designer; Denise Karczewski, lighting designer; Jacqueline Penrod and Richard Penrod, scenic designers; Andrew Hatcher, props designer; Matthew McMullen, stage manager; Aaron Shapiro, production manager and Johnnie Schleyer; technical director. clarinet/flute/sax; Cesar Romero, electric and acoustic guitar; Michael Gore, drums and Steve Manns, bass. Scholarship student and has additional credits including national tours, commercial, industrial and concert work. Jermaine Hill, originally from New York City, received his Bachelor of Music from Ithaca College and a Master of Music from the New England Conservatory. 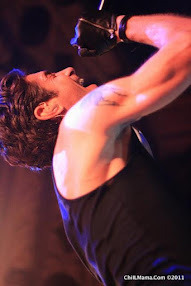 performing onstage in Breathe With Me (Erasing the Distance), and a recent guest spot on “Chicago Med.” Equally at home on theatrical and concert stages, he has appeared at New York’s Carnegie Hall, Boston’s Jordan Hall, Chicago’s Symphony Hall, The Lost Colony (NC), Rome Capitol Theatre (NY), and the Aldeburgh Festival in the U.K. He is an assistant professor and music director for the theatre department at Columbia College Chicago. He is a member of the Chicago Federation of Musicians and is proudly represented by Gray Talent Group. Porchlight Music Theatre is proud to be a member of the vibrant Ruth Page Center for the Arts community and an Artist In-Residence. Central to the Ruth Page Center for the Arts’ programming is the Artists In-Residence program, which is designed to serve organizations looking for a home base while they grow or expand their artistic and organizational capabilities. The Center is committed to nurturing and assisting dance and other performing artists, allowing for exchange and collaborative relationships to develop within the artistic community. The Ruth Page Center for the Arts is a destination for quality performing arts, accessible to a wide community regardless of race, gender, age, education or disability. An incubator of artistic energy and excellence, the Ruth Page Center for the Arts carries forward the vision of its founder, legendary dance icon Ruth Page, to be a platform for developing great artists and connecting them with audiences and community. As the home for music theatre in Chicago now in its 23rd season, Porchlight Music Theatre is nationally recognized for reimagining classic productions, developing new works and showcasing musical theatre’s noted Chicago veterans and rising stars. 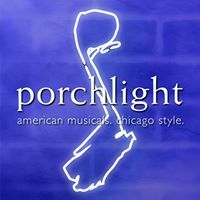 Porchlight elevates the genre by providing intimate and powerful theatrical experiences of music theatre through the lens of the “Chicago Style.” The 2017–2018 year marks a milestone for Porchlight as the company becomes an Artist In-Residence at the historic Ruth Page Center for the Arts in Chicago’s Gold Coast. Porchlight’s rich history includes the staging of more than 60 productions with 15 Chicago premieres and five world premieres. Through Porchlight’s “Off the Porch” new works program, the musicals of the next generation are developed and given a first audience. The School at Porchlight is Chicago’s center for music theatre training in the areas of performance, writing and appreciation including the launch of a youth summer “Make Your Own Musical” Camp in 2017. The company’s many accolades include 22 Black Theatre Alliance nominations and seven awards, as well as a total of 139 Joseph Jefferson Award nominations resulting in 42 Jeff Awards including five consecutive Best Production awards for The Scottsboro Boys (2017), Dreamgirls (2016), Sondheim on Sondheim (2015), Ain’t Misbehavin’ (2014) and A Class Act (2013). Porchlight Music Theatre is partially supported by generous contributions from the Bayless Family Foundation, Abe and Ida Cooper Foundation, Actors’ Equity Foundation, Chapman | Spingola, Attorneys at Law, the Gaylord & Dorothy Donnelley Foundation, James P. and Brenda S. Grusecki Family Foundation, Lou Malnati’s on State Street, the MacArthur Fund for Arts & Culture at the Prince Foundation, Q Chicago, The Saints and the Topfer Family Foundation. The season program is partially supported by a grant from the Illinois Arts Council Agency, a state agency and by a CityArts Grant from the City of Chicago Department of Cultural Affairs & Special Events.